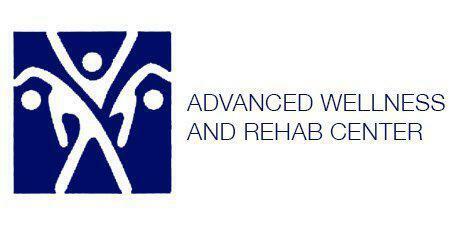 Dr. Reynardo Adorable and the staff of Advanced Wellness and Rehab Center serve residents who live in Carrollton, Texas and many of the surrounding communities. Dr. Adorable specializes in sports medicine and the treatment of various sports related injuries. The goal is to provide effective treatment options that allow them to return to the playing field as quickly as possible. How can chiropractic care improve sports medicine treatment? Sports medicine involves the treatment of injuries that are incurred during stressful activities like athletic play. Chiropractic care is an extremely beneficial tool when it comes to this type of medicine. Athletes who are in excellent shape have bodies that are strong and resilient. This increased strength can hasten the healing process. Chiropractic adjustments return the body to a more balanced state and realign the muscular structure so that it can better support the skeleton and connective tissues during the healing process. By adjusting the skeletal structure of the body and allowing the muscles to resume their normal position, inflammation is kept to a minimum and the person is able to return to the playing field in less time. What’s involved in sports medicine? Sports medicine involves caring for injuries associated with different types of athletic activity. It also involves preventing those injuries by helping a patient to maintain the highest level of fitness possible. Many athletes will often visit chiropractors and massage therapists to ensure their body stays in top physical condition. By addressing small issues that arise, during the course of training or play, the athlete can often prevent further issues from occurring. If an injury does incur, a doctor who specializes in the care and treatment of sports related injuries can identify potential problems that a non-athlete may not have to worry about. Specialized care for athletes is a must if they plan on remaining healthy and being able to address any injury head on. Are sports injuries treated differently than ordinary injuries? Sports injuries are treated differently than ordinary injuries due to an athlete's level of fitness. An athlete who is actively competing has more muscle tone and is physically stronger than most people who don’t train on a regular basis. The amount of muscle tissue alone can have a dramatic impact on how quickly a person's body heals. If an athlete gets injured, their body may react differently than a person who isn’t active and doesn’t exercise on a regular basis. Although much of the treatment plan will be the same, the key is to restore proper form and function prior to the body losing an excessive amount of strength and affecting the athlete's level of play.